Andrew is a Central Michigan University graduate where he obtained his degree in Real Estate Development with a concentration in Finance. His college experience led him to become the President of the Professional Real Estate Society. His involvement allowed him to develop a handful of skills and extensive knowledge of the real estate business of which he now represents. At Fortis, Andrew specializes in exclusive seller and buyer representation with a multitude of national clients. His expertise encompasses financial advisory, acquisition and disposition, as well as financial analysis. As a result, he has built a solid foundation built on customer relationships that of which makes him such a valued team member. 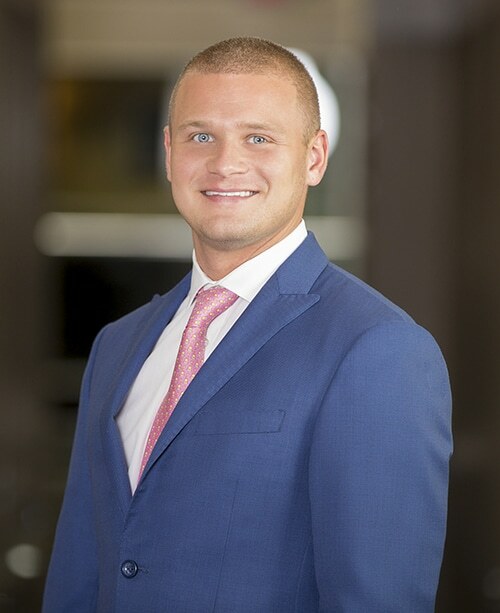 Aside from work, Andrew has many interests that include: skiing the slopes of Northern Michigan, taking to the sky while learning to fly, and partaking in all the good eats that the city of Detroit continues to offer.